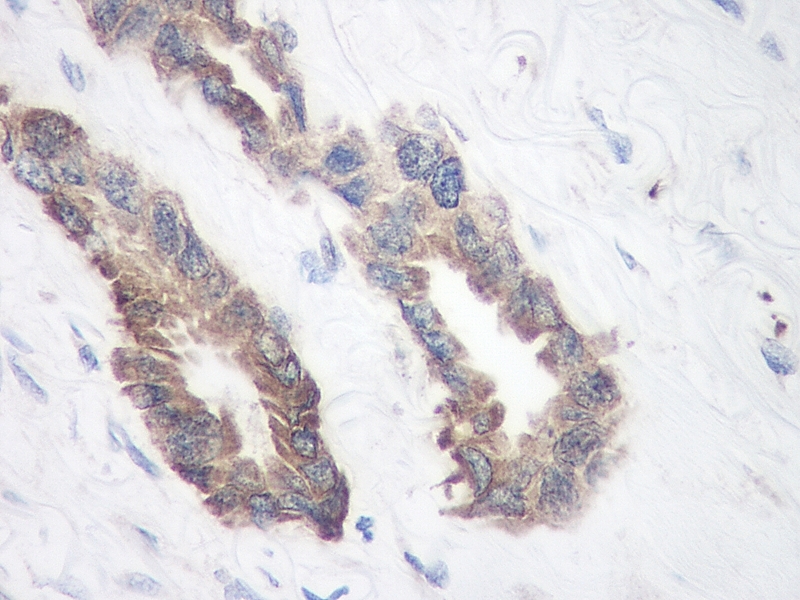 Formalin fixed, paraffin embedded human breast invasive ductal carcinoma stained with Rabbit anti Human TIMP-1 (AHP2187) following enzyme mediated antigen retrieval using proteinase K.
Antiserum to human TIMP-1 were raised by repeated immunisation of rabbits with highly purified antigen. Purified IgG was prepared from whole serum by affinity chromatography. 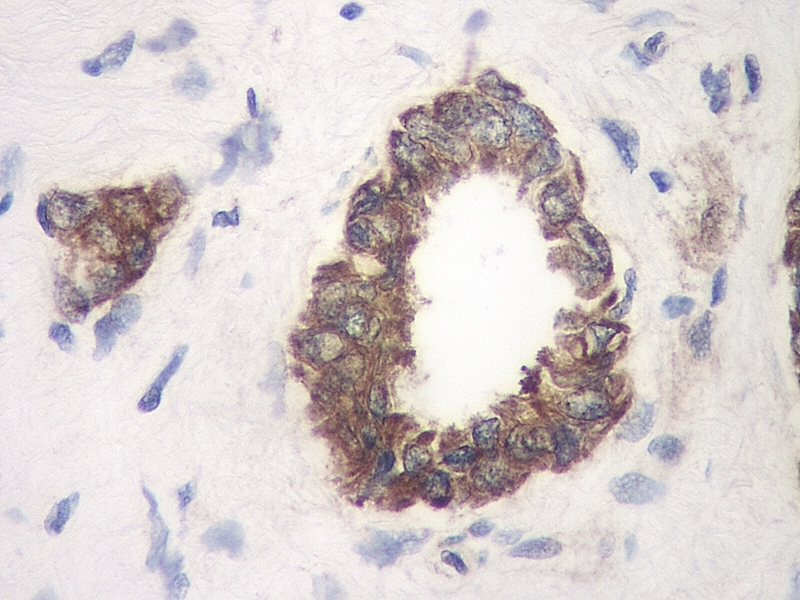 This biotinylated human TIMP-1 antibody may be used in a direct ELISA or as the detection reagent in a sandwich ELISA with our purified human TIMP-1 antibody (AHP2187) as the capture reagent. 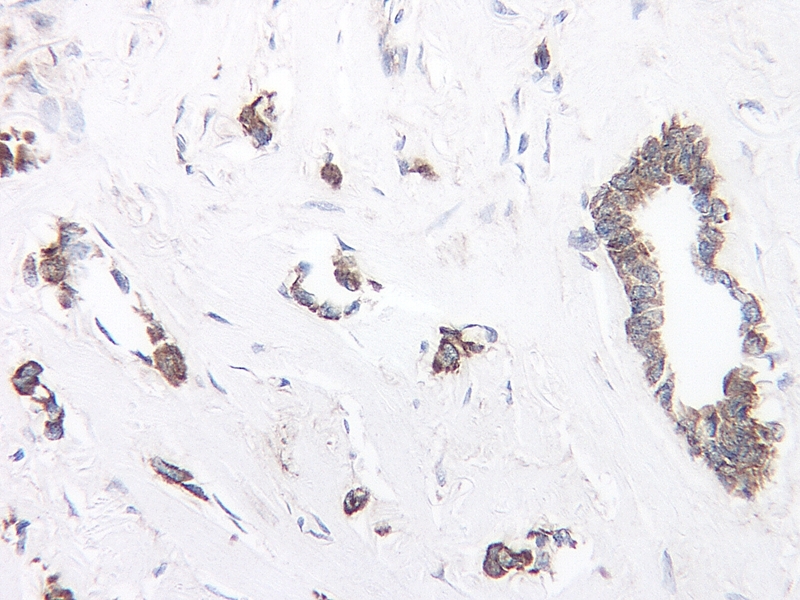 This purified human TIMP-1 antibody may be used in an indirect ELISA or as the capture reagent in a sandwich ELISA with our biotinylated human TIMP-1 antibody (AHP2187B) as the detection reagent.